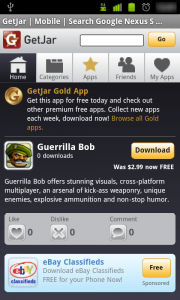 When Guerrila Bob first debuted on Android, it was a major hit. It has since then faded into semi-oblivion due to the developer not updating the game often and the lack of new content, despite the developer promising regular updates and new content. 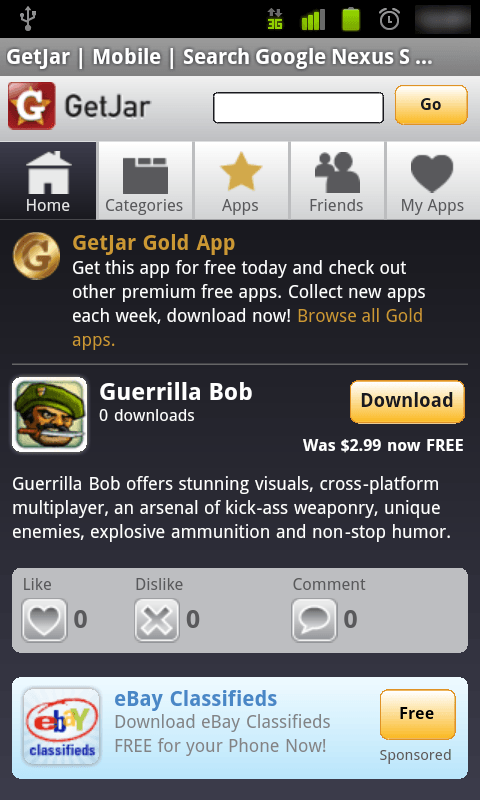 If I had paid $2.99 for Guerrila Bob, I would be pissed. However, as a freebie, Guerrila Bob is still a very fun game. The campaign mode is fairly short (read: lack of new content) but Guerrila Bob supports multiplayer over WiFi (cross-platform multiplayer, i.e. Android devices can connect with iOS devices, Macs, and/or PCs) so you can fire up that phone and play with friends while you take a break from the 5-man-Onyixia LAN party.